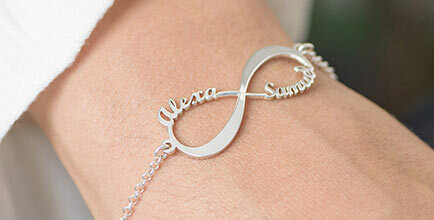 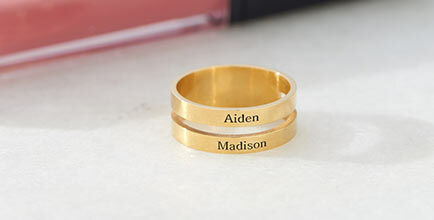 Customise this stylish infinity bar necklace with a name or word for someone who you love and cherish. 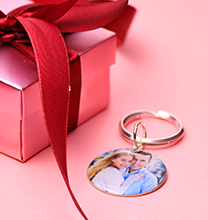 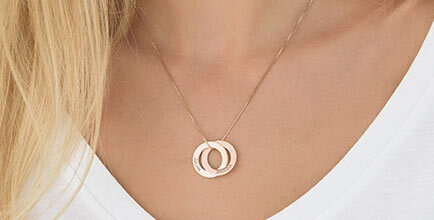 The infinity pendant features an infinity symbol to display your bond and commitment. 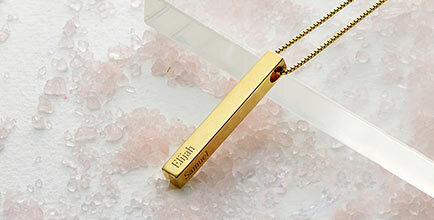 The bar pendant and Rolo chain are made of gold plated sterling silver.